Since departing Mars Hill Church in Grand Rapids, and relocating to Los Angeles, I haven’t heard a lot from author and poet Rob Bell. Last week he released a new video, reminiscent of his Nooma series. In this video Rediscovering Wonder, we find Rob Bell strolling through some back alleys in what could be his local neighbourhood. One of the interesting points about the video, though, is that it seems to be a direct response to his critics. 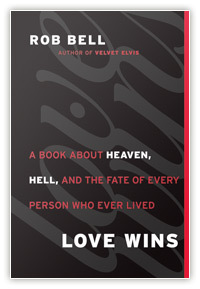 Since the release of Love Wins in early 2011, Bell has sustained several attacks by his critics. The constant criticism leveled at the book Love Wins brought with it accusations by some of heresy, including claims of universalism and complete rejection of classic Christianity. I bet most of these people had never read the book. 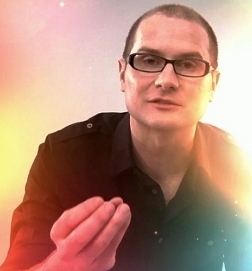 While I didn’t necessarily agree with all his points in Love Wins, what I do recognise is that Rob Bell has an exceptional gift in communicating in person, through video and in the written form. He is without doubt one of the most brilliant communicators of all time. The last time I read of such criticism, and calls for heresy was probably in the Bible – just before Pilate decided that Jesus should be crucified. Interesting isn’t it? Whatever your views of the work of Rob Bell, this video clip challenges us to rediscover our sense of wonder and awe. I’m not even going to try to come up with a poem this week on wonder. There is no need. This video about wonder and awe is pure and simple poetry in motion. So what about you my friend? What is your response? What will you do differently to embrace wonder and awe? Here or somewhere this week share your story. It may just help someone rediscover wonder.